Random fact about me: I’m not a fan of using small handbags during the week. There’s something so comforting about knowing that I have any and everything I need for any and every situation. The caveat, I’ve learned, is that the larger the bag, the more stuff you somehow manage to add to it because you have the room for it! 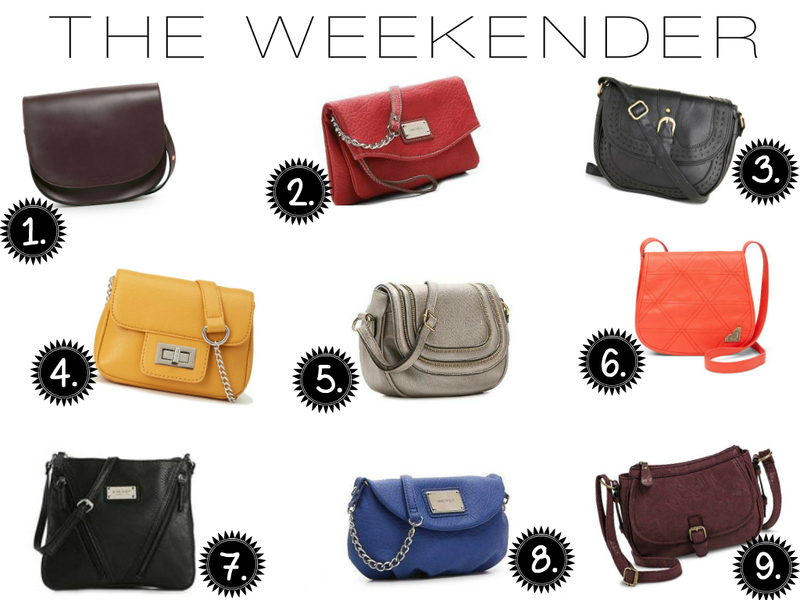 The Weekender is my go-to Saturday and Sunday small crossbody handbag. It’s function: to keep things light and hands-free (stylish doesn’t hurt either). Ideally, it should hold my weekend essentials: debit card/cash, phone, sunglasses, digital camera (mine is tiny) for high-quality blog pix, my Kindle (because I always carry a book with me), and Chapstick. My current go-to weekender that I bought at Forever 21 about 4 years ago finally broke-up with me. (Realistically, anything that last more than 6 months from Forever 21 is impressive, so I realize 4 years for a $20 bag is a considered a lifetime…or 2.) I was pretty bummed at first and even entertained the idea of having it fixed, but I’m sure the cost to do so outweighs what I actually spent on it. Even better, it gives me an excuse to look for a new bag (what woman doesn’t like that!?!) and an idea for a blog post. Win, win. My four main requirements for my search was that it had to be crossbody-style, a color that would go with anything, on the small-to-medium end in terms of size, and under $50. So just in time for the weekend, let’s explore my hunt for the new weekender. 1. // 2. // 3. // 4 . // 5. // 6. // 7 . // 8. // 9. Happy Friday (the 13th – beware!) guys! A productive week here. I finally put a big project to bed, feeling great about how I overcame a few obstacles along the way to see it through, while professionally satisfying my creative side to my delight. I somehow managed to also impress everyone with the results! I also had the pleasure this week of learning just how out of shape I am when I accompanied a work colleague on a mid-day “hike” to enjoy the great outdoors for a class. Admittedly, I would say I’m not in the greatest shape at the moment; but I would say, fair, at best. What I thought was going to be a slightly rigorous hike, turned more into a boot-camp style class (at least that’s how it felt to me as we intermittently stopped for calisthenics and body resistance exercises along the way.) Suffice to say, I was NOT at all prepared for that aspect to things, or warned about them in advance. I tend to go through spurts with fitness. Around this time of year up until the beginnings of fall when the sun is out until 8:00pm, I have such motivation and commitment to a firm workout schedule, because I’ve always been more of an evening person when it comes to workouts and taking classes. However, once the time changes and it’s dark around 5:00pm – the only motivation and commitment I have is to getting home as soon as possible…to my couch. Outside of putting the polishing touches on my work project and realizing it’s time to focus my energies on being more active – this week was rather uneventful. That being said, it’s time to look toward the weekend – which is coming down to time spent around that beautiful thing we call cinema. The LA Film Festival is in full effect, and it wouldn’t quite be a start to summer without spending some time there. With that, I’m off to order a pizza…I mean, hit the gym! Posted in Explore, Fashion, Food, Fun, Handbags, Life, Treats	by C.
Another busy but great week under my belt. Although, I feel like I haven’t had a chance to catch my breath lately and I’m exhausted. I’ve been getting to bed at decent times, eating well, and did stick to my yoga class this week, but I am in total need of a B.R.E.A.K. The good news is that I am beyond excited for my mini-vacay next week. I really want to use the time to recharge and reflect on my next steps personally and professionally. I’ve even decided to write a list of goals (big and small) that I want to accomplish over the next year, something that I want to do in celebration of my upcoming milestone and to appease my “love-to-cross-things-off-my-list” O.C.D. personality. One big highlight within this week of complete chaos, was spending a quiet afternoon in the 90210 (window shopping only, of course). My boyfriend had never been and we wanted to check out the new ice cream craze so we rolled it into a short trip. Rodeo is such a fun street to stroll down and analyze: 1) who in the world can actually afford this stuff? 2) given the limited number of people who can, how do these businesses manage stay open and survive recessions? and 3) if I had the money, would I really spend $5,000 on a handbag? (If I were totally loaded – I could see I probably would, but would find it pretty surreal and strange when that day comes). My first purchase would be the classic Chanel Quilted Calfskin. The one thing we actually could afford was the ice cream and you can read more of my thoughts on the new Ice-Cream Lab here. I give it a year….tops. This weekend will be all about celebration: prepping for my little b-day getaway and treating myself to a few splurges here and there that I’m still trying to decide upon. And in honor of Cinco De Mayo, at least one margarita and a trip to my favorite Mexican restaurant is in order. Since next week will undoubtedly be a bit chaotic with birthday stuff and the fact that I’m giving myself some much-need relaxation time, you might not see me post everyday as usual. Rest assured, I’ll be back with lots to share with you! Posted in Cocktails, Dinner, Explore, Film, Fun, Home Decor, Music, Treats	by C.
It has definitely been a more lively week than usual on my end. I’m trying to wrap up some loose ends at work before I take a much needed vacay the first week in May. The good news is that while it’s been busy, I always sort of revel in the challenge in the end. Somehow getting the things you need to get done are all the sweeter when you realize that if you just do it and push through, you can do anything. You just have to take the first step, then the next. Outside the office, I had a happy week. I met a friend at one of my favorite places to splurge every blue moon, Rock Sugar in Century City for dinner to kick-off my weekend last Friday night. While it was a fantastic Pan Asian feast, I think in the future I’ll skip dinner and head there for their delicious Lychee Blossom cocktail and their AMAZING warm coconut donuts served with a passion fruit dipping sauce. Yes, it is as good as it sounds and looks. Go! When thinking about small pleasures this week, a trip to the Hollywood Farmer’s Market on a sunny Sunday morning, then sitting on the Manhattan Beach Pier with my boyfriend gazing out at the ocean with an ice cream cone on that same afternoon come to mind and make me smile. And every time I head home, I smile even bigger when I see my new artwork hanging on my wall (pictured above). A few months back, I was with my boyfriend admiring it (because, hey – it’s “me” in a ball-gown and chic haircut starting out my window at the Hollywood Sign :)) and as an early birthday present he surprised me with it. What a guy, huh? I’m not sure where this weekend will take me, but I know that I’ll be at the ArcLight opening night for the highly anticipated new film, Mud. Since this gorgeous weather is expected to continue over the next few days, the plan is to find some time to be outdoors (rocking my new maxi dress). And the soundtrack of my life lately that will certainly continue into the weekend has been the soundtrack from Celeste & Jesse Forever. I can’t. stop. listening to it. Posted in Beauty, Breakfast, Explore, Fashion, Food, Fun, Shoes, Treats	by C.
This week went by incredibly fast for me, but turned out to be a good one. I’m loving the extra sunlight after work hours motivating me in ways that fall and winter never seem to. Really great things happened in really small ways as I look back over the last week. My 2nd Birchbox made an appearance, I learned my lesson when I ran out of my favorite cleanser and my skin was NOT happy about it, the new gym in my building opened up, and I treated myself to my first pair of spring inspired wedges. I have a lot on my plate this weekend. A trip to the museum is on the agenda (since last weekend we ended up at the Walt Disney Concert Hall instead), a stop at my favorite grilled cheese place is a must, as well as spending some time roaming the farmer’s market to kill two birds with one stone – enjoying the 80 degree weather while stocking up on goodies for the week. Have an amazing weekend! It’s going to be gorgeous here! I sat in the new(ish) Grand Park in downtown L.A. with my boyfriend watching the massive water fountain and sipping an iced tea on a Saturday afternoon and it was simply magical. I plan to spend more time here at some point in the coming months enjoying all the free concerts and programming offered. Boy, was I glad to see this hand delivered to my door last Saturday morning. So far, I’m very happy with this month’s samples. Review post to come later this month! I bought a huge vat of sweet strawberries and have been happily enjoying them for breakfast (and when I need a frozen yogurt fix) this week, but it’s reminding me to always keep dental floss in my purse. I ran out of my favorite cleanser and didn’t immediately replace it, instead using some left over product I had on hand. Let’s just say my skin was not very happy about it and rebelled pretty quickly. Once that became utterly clear, I ordered it online and painstakingly waited a week for its arrival because I save so much more money (gotta love Amazon). Now, all is well in the world. I stumbled on these Audrey Brooke Teagan Wedge Pumps a few weeks back and instantly added them to my Pinterest gotta have board. Patience paid off when I received a great coupon and free shipping earlier this week. They’re on their way! Posted in Film, Food, Treats	by C.
My first cup of coffee for the weekend. 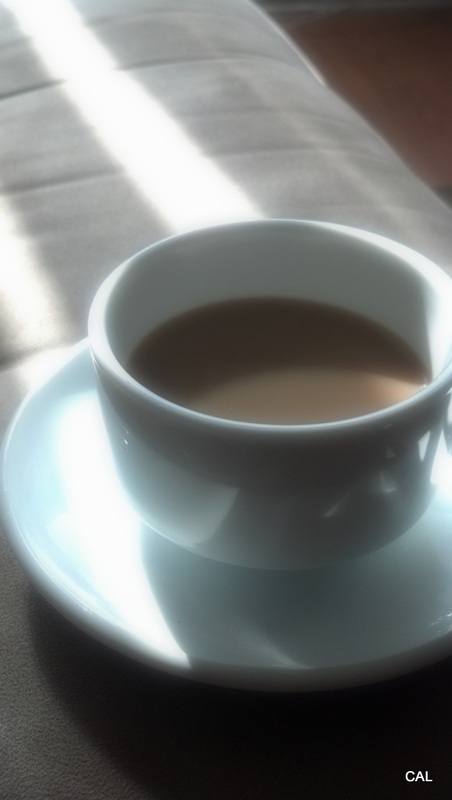 This isn’t super extraordinary for me on a Saturday morning; but what makes this cup of coffee a special one, was that this was the first time I used this cup and saucer. Awhile back, a former colleague of mine was headed to France for a few weeks on vacation, and sweetly asked if he could bring anything back for me. Since I’ve always had this fantasy of sitting in a french cafe sipping espresso, I told him I wanted a cup set from France so that I could channel it from the States. I packed it away a few years ago and after moving, came across it and thought it’s time to channel that French experience. I can’t wait to have the real version someday. 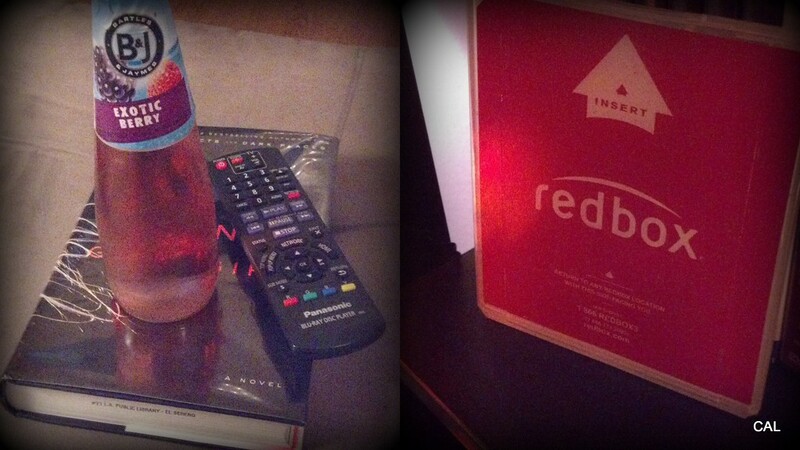 I spent a lot of time on the couch right next to my remote control and hit Redbox more times than I care to admit (okay, three times this weekend and 6 movies later…). I re-discovered my love of cheese and crackers! Specifically, my new obsession with Gouda cheese of all things. 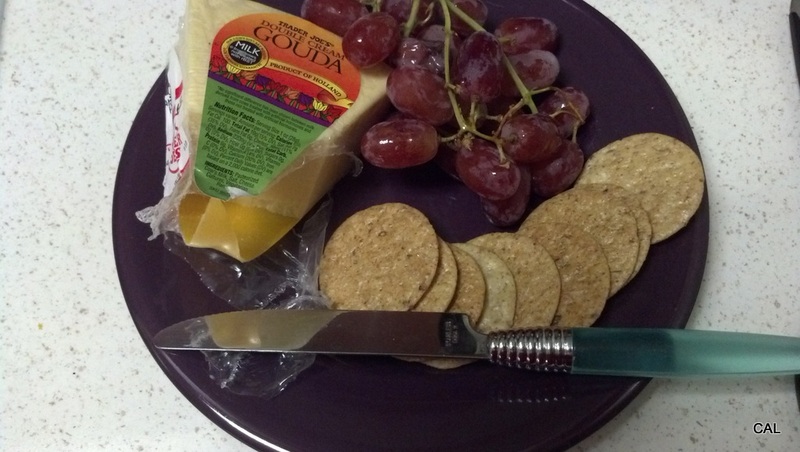 Add some multi-grain crackers from Trader Joe’s and a few red grapes and I had my go-to snack for the weekend. Ah, flowers! 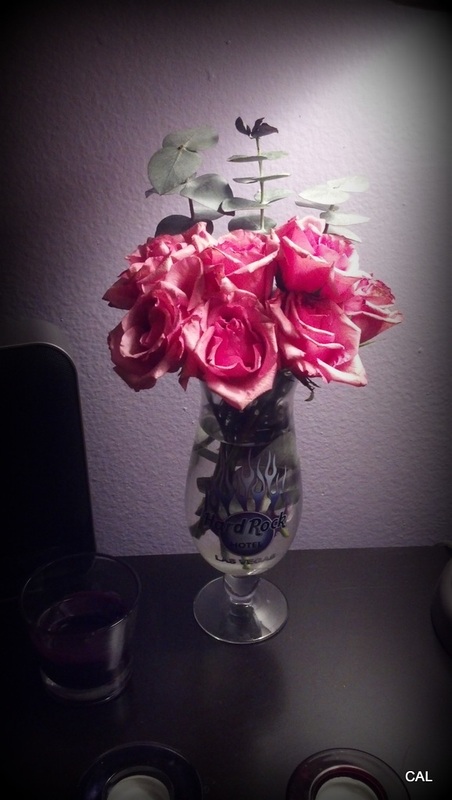 Something I love to have around me when I know I’ll actually be home to enjoy them.